Earning a living selling chewing gum on the streets of Kabul, 14-year-old Fazilla admits life is hard. Growing up amid constant war and the subsequent Taliban rule all but eliminated a chance for schooling. The rubble of conflict in Afghanistan left little space for her to enjoy a childhood, and what she earns helps buy food for her family — though often it is not enough. Against such misery, one non-governmental organization (NGO) wants to provide children like Fazilla some respite, and a chance to learn, through skateboarding. 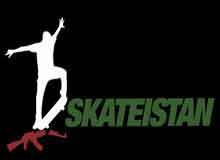 Called Skateistan, the non-governmental organization (NGO) offers educational programs while also teaching skateboard skills. It is a novel approach to lure youngsters into the classroom and one that has proven to be successful. Founded in 2007 by Australian Oliver Percovich, the organization began in a park in downtown Kabul before funds were raised to build its own facility. Skateistan’s indoor skate park now welcomes more than 300 kids every week. Percovich came to Kabul for work in 2007, skateboard in tow. Practicing his skills in the streets of Kabul, Percovich saw how fascinated Afghan youths were with the pastime. He was touched by their interest and saddened by their poverty, but more amazed at how something as simple as a skateboard could benefit self-esteem. Realizing that confidence and leadership were as vital to a child’s progress as basic education, the 36-year-old used all of his savings and maxed out his credit card to set up Skateistan. The idea was to provide a place of learning that was not only educational, but also social. In a few short years, his pioneering project has become an international sensation, winning acclaim with a nine-minute documentary, Skateistan: To Live and Skate Kabul, which tracks the lives of two of its young members, Fazila and 17-year-old Merza. The documentary has gone viral, with over 500,000 views on the Internet to date, and is being shown at the annual Sundance Film Festival in Utah in January. The film’s director, 30-year-old Orlando von Einsiedel, convinced Skateistan to let him travel to Kabul and make the short film with funding from clothing company Diesel. Von Einsiedel, co-founder of Grain Media, a London-based TV, film and web-video production company, first heard about Skateistan from a friend, who was an aid worker in Kabul. A former pro-snowboarder with a graduate degree in development from London School of Economics, he was struck by many aspects of both Kabul and the organization. One was the relatively high number of Afghan girls involved with Skateistan, in contrast to places like the United States and United Kingdom, where skateboarding is largely male dominated. Von Einsiedel says he liked how Skateistan’s long-term goal is to hand management of the organization over to locals. Currently, Afghans are involved in every area of the NGO, and with locals running 50% of the classes. Another factor working in the NGO’s favor is that the Kabul community at large has also embraced it. Skateistan, for example, has a strong relationship with the Afghan Olympic Committee, which provided the land for its facility. And during the opening ceremony last year, a prominent local religious leader gave a speech praising the fact that girls were participating in the sport, recalling how the Prophet Muhammad’s wife, Aisha, was encouraged to participate in a running race. Von Einsiedel says without such grassroots cooperation, it would have been hard for the enterprise to flourish. Before leaving for Kabul, von Einsiedel was asked by a friend if Afghanistan really needed a skate park when many of its people live without electricity or running water. The way von Einsiedel sees it, if films like his can give people a window to a world they might never go to, while showing the complexity of other people’s lives in an empathetic way, the effort is worth it. What’s more, after visiting the program, he says he couldn’t shout loud enough about the merits of the organization. He says the majority of the kids helped by Skateistan shoulder the responsibilities of adults by the age of nine, holding down jobs and learning to make ends meet. "In a way, they don’t get to be children," he notes. This was certainly the case of 17-year-old Merza, who spent his childhood living on the streets and washing cars for a pittance. It was hard work in the harshest of conditions. In the documentary, he recalls how in the freezing winter weather, the skin on his hands would crack and bleed. Exacerbating his hardship was being forced to spend his formative years in the shadow of war. In a sad indictment of the lost youth of Afghanistan’s children, he tells viewers he used to be scared of the fighting, but he got used to it. But Merza says it’s time for the people of Afghanistan to reunite and rebuild their shattered country. In the film, he states, "I don’t want war anymore. My hope is that my county is led by someone who is able to bring peace." Shooting the film in January last year, von Einsiedel found Kabul to be a difficult city, devoid of comforts and filled with poorly-paid laborers. That said, the director was pleasantly surprised by the friendliness and hospitality of Kabulians, despite 25 years of warfare. He recalls how he and his film crew were never short of an invitation to tea or lunch. Von Einsiedel isn’t the only filmmaker captivated by both Skateistan and Afghanistan. On January 29th, a full-length documentary called Skateistan: Four Wheels and a Board in Kabul will have its world premiere at the Santa Barbara International Film Festival in California. Directed by Kai Sehr, a German expatriate living in California, and co-produced by Percovich, the film not only tells the story of the grassroots effort behind the creation of Skateistan, but also follows a team of international pro-skateboarders during their travels in Afghanistan, using the sport as a way to build awareness about cultural differences. As for von Einsiedel’s film, while portraying the hardships of life for the street kids of Kabul it also shows glimmers of hope. Fazila tells viewers that before the arrival of Skateistan, she never thought she would be able to do anything except work on the streets to support her seven siblings. "At Skateistan, I don’t feel like my surroundings are ruined," she says. "I feel as though I’m in a nice place."